The CIO: Outdated job role or a future power player? 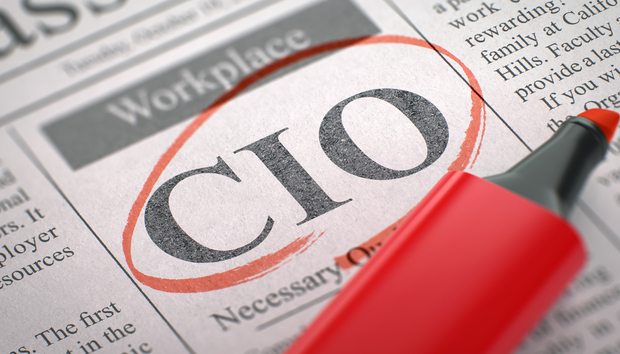 Let's face it, the role of CIO hasn't always been highly regarded. Even as recently as a few years ago, while the CIO was theoretically senior, they weren't central to key decision making or on the executive board and you can bet that financially they weren't as well rewarded as their peers. All in all, technology and data were things that were misunderstood, underestimated and largely left to ‘the techies' to sort out. Thankfully this approach now resides in the past. Due to tech's recent rise to fame combined with an explosion in the amount of data used and cyber security's increasing importance, CIOs around the world have risen from the ashes to become one of the most important roles. In the era where all companies are becoming software companies, the CIO and their team are at the heart of what can be the key to competitive differentiation. It's down to them to enable organisations to move quickly ahead of competitors. They're also increasingly competing with external service providers (SP) and to stay relevant they have to provide the same type of automated, agile, "cloud-like" service as the SP's. While the long list of tech challenges they need to solve has been extended, you can bet that their budget hasn't increased to the same extent. So on top of everything else, they're also expected to do more with less. Data security is now a board-level issue that the CIO is ultimately responsible for. As businesses create more and more data, CIOs are heading up the strategy on how to use, manage and - most importantly - protect it from ‘the bad guys'. You only need to look at the business impact on previous victims of data breaches and ransomware to realise why. It's often downtime in these situations which is the biggest killer, meaning that remediation done well can have real business effects (and give you a nice end of year bonus to boot). After all, for a 1000-employee-strong business, even one hour of downtime means 1000 hours of productivity lost. One recent case is when the shipping giant Maersk got hit by ransomware in 2017's NotPetya outbreak. Almost all their systems went down, meaning that their impressive IT team took ten days to reinstall 4,000 new servers, 45,000 PCs, and 2,500 applications. During these ten days, it had to revert back to manual systems, proving that the last backup is the most important and final layer of defence. All in all, the attack cost the company somewhere between $250m and $300m, reinforcing that the quick and effective remediation of an attack on this scale really can be the difference between being in a job and not, and CIOs are often where the buck stops when it comes to data breaches. From ten years ago where the CIO wasn't even on the board and was merely a back-end IT executor, we've now come full circle to a time when most companies now know that digital transformation is key to success. Therefore, many companies now have both a CIO and Chief Digital Officer (CDO) on the board. The CDO often takes over many of the CIO's most interesting responsibilities and can take away some of the CIO's business relevance. It is therefore critical that the CIO is proactive and drives this transformation or they risk missing the opportunity to be the catalyst for growth and differentiation for the business to simply "running IT ops" and delivering what others design or demand. That being said, CIOs have an unbelievable opportunity waiting for them. The future of so many companies rests upon digital transformation. And you can't do that without a great CIO. But the opportunity doesn't stop there. Traditionally, CEOs have very often come from CFO roles. However, as technology becomes ever more integral to companies' growth strategies, we will start to see more and more CEOs coming from CIO backgrounds. In the last few years alone, we've already seen this start to happen: Tesco's CIO Philip Clarke rose to CEO in 2011; the Home Office CTO Sarah Wilkinson moved to become NHS Digital's CEO in 2017; and Rachel Dunscombe, who was previously Salford Royal NHS's CIO became NHS Digital Academy's CEO in 2017. Martin Brown joined Rubrik from DELL EMC, where he was instrumental in increasing sales revenue and growing the UK team. Bringing a wealth of experience and expertise to the role, Martin is tasked with building on the great success Rubrik has experienced in the region. IDG Connect's expert contributors come from across the spectrum of IT and business job titles.